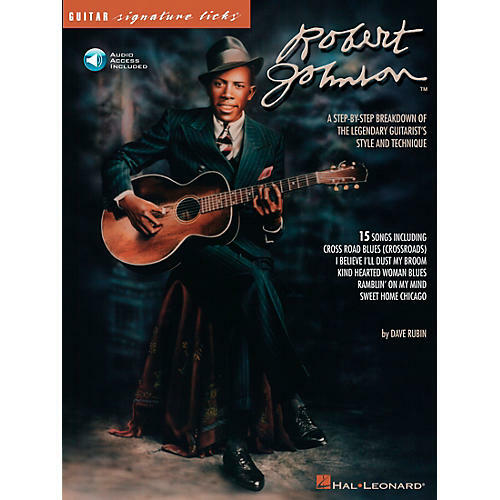 Explore the music of one of the greatest acoustic bluesmen of all time with this fascinating book/CD pack. Blues expert Dave Rubin provides an introduction on Johnson's place in musical history, and extensive notes on his tunings, arrangements, fingerstyle technique and guitars. Features in-depth lessons and audio examples of 15 of his most famous songs including "Cross Road Blues (Crossroads)," "Hell Hound on My Trail," "I Believe I'll Dust My Broom," "Kind Hearted Woman Blues," "Love in Vain Blues," "Ramblin' on My Mind," "Sweet Home Chicago," "Walkin' Blues," and more.